Rustic, minimalist, functional, modern … Because no two people are alike, for every gourmet, your own kitchen. 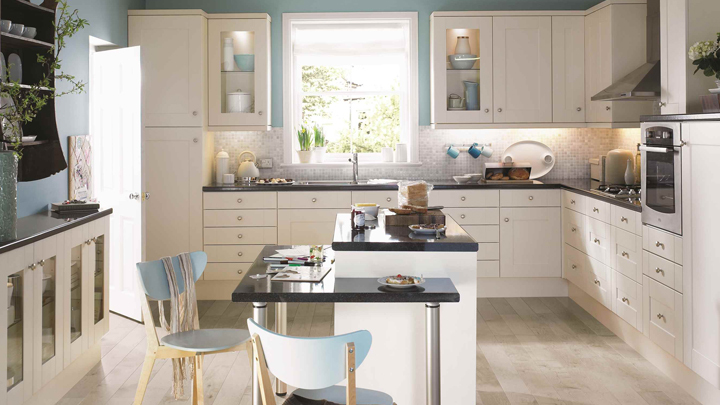 Today we want to help decorate the ideal kitchen, considering your culinary tastes and your own personality. The decor is very important not only as a matter of aesthetics and functionality, but also to make our life much more enjoyable. If you enjoy cooking and want to start taking care of yourself, it’s time to equip and decorate your kitchen, do you join? Find your ideal style! We begin with one of the trends that are having success for several years. Sustainable and ecological decoration Healthy living makes the leap to the kitchen and is present not only on our plates, but also in our decor. 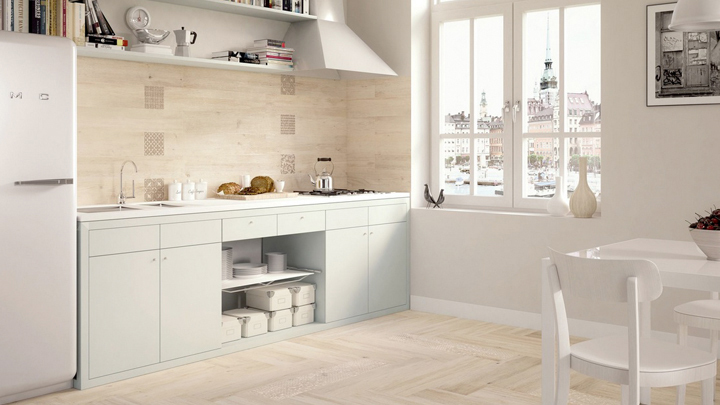 Materials such as solid wood, textiles with floral patterns that evoke nature and organic fibers such as cotton and linen, vintage details like pots and pans in sight and natural plants and flowers decorate the kitchen and automatize this space are elements that are usually present in a sustainable kitchen. Thus, cuisine and decor are demanding a return to the authentic and natural. Do you rent? 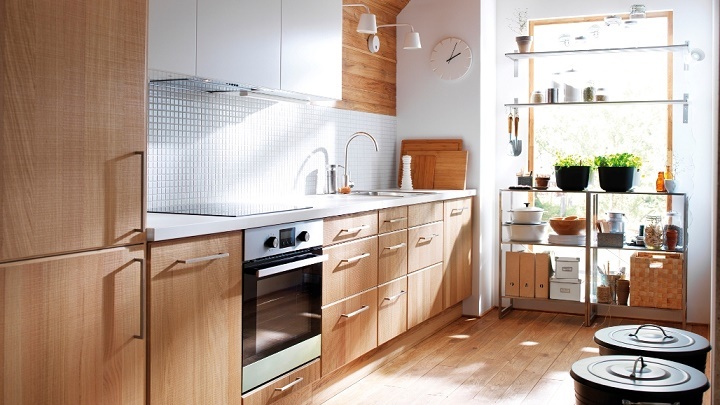 Conversely, if you are someone who prefers to opt for more functionality and contemporary minimalism, nothing better than a kitchen decorated in white. A tone that conveys a sense of purity and that helps us gain amplitude. While for gourmets demanding who prefer practicality, our advice is to opt for a kitchen in stainless steel. It is the favorite of professional chefs material because it is durable, easy to clean and durable. The mixture of glass, metal and wood in neutral colors is a great choice. Wood brings warmth and coldness breaks transmitting metalized surfaces. But if yours are the romantic tendencies for a sweet kitchen, our advice is to opt for delicate pastel shades in textiles and other decorative accessories also as jars. While in the nothing better than white wooden furniture and furniture French style. furniture with rounded lines and curves star cuisine romantic style that invites you to enjoy a sweet kitchen. Also do not forget other classical elements in the kitchens of classical and romantic style as the medallion chairs. Flowers help us put the final touch of style to a refreshing romantic kitchen. Do you prefer the culinary blends and flavors of trend? In that case, try a modern kitchen as the industrial aesthetic. Metals, dark colors, aged surfaces, stools and chairs factory inspiration, brick walls, iron plates with a certain vintage … The aesthetics of old factories and workshops is more fashionable than ever and makes the leap to the decoration kitchen. Another decorative trend is very fashionable also is vintage style. Here triumph eclectic mixtures where color is the main protagonist and decorative plates with advertising from other eras and aesthetic references that remind us of the past and all this without sacrificing functionality and style. Decorate the kitchen with small details that we like and bring us beautiful and happy memories are very important to enjoy this space. Thus, we will cook better and longer. Do you want to start eating healthy and well? In that case, start by decorating your kitchen.